From a media giant growing its reach through rental cars to a beleaguered theme park operator warning of even slower turnstile clicks, here's a rundown of the week's best and worst from the business world. Many argued that Microsoft deciding late last month to offer up its flagship Microsoft Office suite of productivity software for iPads was too little, too late. Folks had already moved on to free or nearly free alternatives, and Microsoft was already suffering with a global slump in PC sales. Well, Microsoft still has plenty of bite. It announced there were 12 million downloads of its Word, Excel and PowerPoint iPad apps in its first week of availability. It's not just bookworms checking out of Barnes & Noble. Liberty Media (LMCA) is selling 90 percent of its shares of the struggling bookstore operator, taking its stake of 17 percent down to less than 2 percent. Liberty Media will give up the right to appoint a pair of board members now that it's a shrinking investor, but that seems to be a small price to pay for an investor that wants to deploy that money somewhere else. Running a book superstore isn't easy these days. 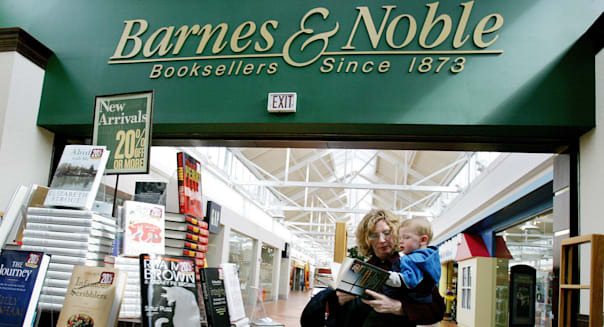 Barnes & Noble's sales have been sluggish as readers go digital, and the chain's push to cash in on the trend with its own Nook line is fading fast. Satellite radio will be easier to tune into in rental cars. Avis Budget Group (CAR) revealed this week that in-dash Sirius XM receivers are now available in more than 60 percent of its Avis and Budget car rental agencies. Avis Budget previously relied on portable plug-and-play receivers that renters could order at the counter. Drivers will still have to pay for access. There's no free lunch even if it's a prepaid rental. However, it's still a good way for Sirius XM to expand brand awareness and ideally hook future subscribers. Looks like the killer whale documentary "Blackfish" is sucking some of the life out of SeaWorld after all. The theme park operator revealed that attendance fell 13 percent during the first three months of this year. Attendance had slipped 4 percent last year, but there was the feeling that guests were starting to return to SeaWorld's marine life parks. Well, that isn't happening. %VIRTUAL-article-sponsoredlinks%There's more here than just the backlash to the documentary that takes SeaWorld to task for housing and breeding a orca with a bit of a mean streak. SeaWorld may have been too aggressive with price increases last year, and that may explain why it sat out the round earlier this year when rival theme park operators pushed up admission price. It was pretty quiet on the earnings front, but tech bellwether Micron Technology did report quarterly results on Thursday. Micron's a leading provider of memory chips, and its success speaks well for the companies that rely on its DRAM and other semiconductor solutions. Micron posted an adjusted profit of 85 cents a share, blowing past the 74 cents a share that Wall Street was targeting. Revenue nearly doubled to $4.11 billion. With earnings season just around the corner, it's encouraging to see an influential tech icon come up big.